Bangalore agus Ooty Turas | Cuir fòn gu @ + 91-993.702.7574 airson Clàradh. Bangalore tha aimsir taitneach fad na bliadhna agus tha sin a 'ciallachadh gu bheil e cho sònraichte. Tha ionadan iongantach iongantach aig an stèisean cnoc faisg air Ooty, a tha gad dhèanamh a 'toirt aoigheachd do a bhòidhchead nàdarra. 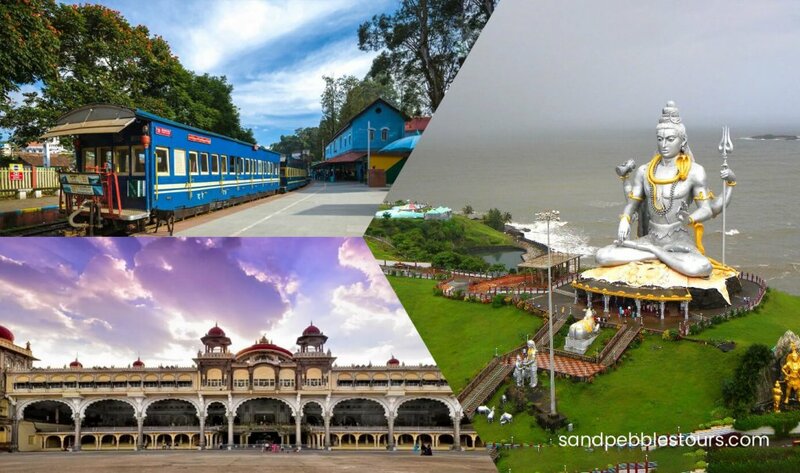 Bheir Bangalore agus Ooty Tour thu tron ​​phrìomh bhaile agus "Queen of hill stations". Air aon làimh tha meudachd Gàraidhean Luibheanach Bangalore a 'fàgail luchd-turais a' bualadh air agus air an làimh eile, tha Rose Garden of Ooty a 'magadh orra. Ma tha cuideigin agad a tha a 'coimhead airson eòlas coltach ris, feumaidh tu Bangalore agus Ooty Tour a thoirt dhut. Tha ar pasgan 5D / 4N Bangalore agus Ooty Tour a 'toirt cothrom dhut toileachas fhaighinn às gach ceann-uidhe. Faigh a-steach leis an earrainn ùr agus na teamplaidean is na carraighean meòrachail. Ooty a tha a 'dèanamh suas de ghàrraidhean luibheach, cnuic uaine dlùth agus leabaidh flùraichean grinn agus dathach. Tha cuid de na cinn-uidhe as fheàrr anns a 'phàirt seo den dùthaich air an gabhail a-steach ann am Bangalore agus Ooty Tour. Tha ar pasgan a 'còmhdach gach ceann-uidhe a tha thu a' dol a choileanadh. Prògram 04 Nights Còd turas: 035. Thig Bangalore, a 'dol gu Mysore air an t-slighe a' tadhal air Palace Palace agus Fort aig Tipu aig Srirangapatna. Cuir a-steach don taigh-òsta. Tadhal san taigh-òsta. An dèidh dràma bracaist gu Bangalore, nuair a thig thu a-steach don Taigh-òsta. Tha an oidhche a 'faighinn seachad airson turas leth-latha a' bhaile ann am Bangalore, nam measg Bull Temple, Lalbagh, Bototical Garden agus dràibheadh ​​seachad air Vidhana Soudha, Taigh-òsta Overnight. Às deidh do thràth-maidne falbh gu Stèisean Rèile Bangalore no Port-adhair gus an turas agad a ghlacadh airson an ath cheann-uidhe agad.